Ondas, a Silicon Valley based company designs, manufactures and sells FullMAX™, our patented, state-of-the-art, point-to-multipoint, wireless radio system for secure, licensed, private, wide-area broadband networks. Recognizing the growth and unique wireless communications needs among mission critical companies as well as an opportunity for standardization, 3 years ago Ondas responded by working with industry organizations and the IEEE to develop a new network standard designed specifically for Mission Critical Industries. The standard is 802.16s completed in late 2017 and published by IEEE. Our radios enable wide area intelligent networks for mission critical industries such as rail & utilities needing internet protocol connectivity. With FullMAX™, you are not tethered to a single communications standard like LTE or WiMAX. We run our wireless communications protocols on general processors and FPGAs eliminating the never-ending obsolescence driven by dedicated chipsets and proprietary equipment. This standards-based solution naturally drives a healthy, multi-vendor application and ecosystem development market. IoT has really been around for much longer than today’s buzz-word environment suggests. Industry has spent decades developing remote connectivity systems for intuitive reasons from on-off control and monitoring to situational awareness. What is rapidly changing is the volume of upstream data. This increase in upstream data is driven by the processing capability, and number, of sensor beds that can be cost-effectively deployed closer to the edge. Legacy proprietary systems simply cannot keep up with increasing upstream data demands, and, shouldn’t try to. Legacy systems are too costly to maintain as they are islanded and cannot take advantage of the economies of scale that a Standards product enjoys. Legacy systems are capacity restrained because they are narrowband, using very small channels. The landscape has changed, and a unified standard is the only solution for the network uplift required to meet today’s demand and deliver on tomorrow. 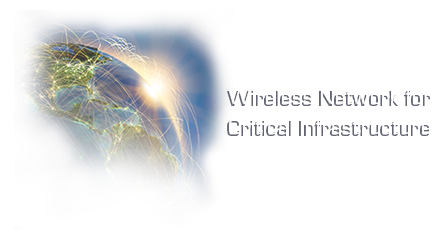 WiFi, LTE, CBRS and other public network and consumer focused systems are not now, and never will be, a reliable, long-term, solution for Critical Data. These consumer systems are designed for something completely different – high downstream data and 100x over-subscription. The fundamental core objective of public networks is to push data out – downstream – from internet and intranet servers to end users. This is the reverse of what the Mission Critical network needs. Monitoring and control of remote devices is all about bringing data upstream. Public networks are designed to cover small areas, a mile or 2, and 5G will reduce that coverage to a few hundred feet. By default, there is no resiliency. It’s too expensive to back-up and harden the basestation equipment. And there is really no need to because these are public networks, not Mission Critical networks. And then there is security – anyone with a smart phone, or WiFi, or an internet connection anywhere in the world, has access – it’s a public network. Ondas’ FullMAX PtP and PtMP networks are designed to be application agnostic providing an end‐to‐end, encrypted, Layer 2, Ethernet connection between the Base Station and Remote units. Our networks are designed to meet a variety of Industrial and Mission Critical use cases including: transport of SCADA traffic, VoIP GOS transport, security and video surveillance, AMI data, and crew mobility. Furthermore, Ondas offers a wide variety of engineering, network design and training services to assist the integration of a FullMAX system into any network. This includes the development of custom network configurations, QoS methods and support tools. FullMAX technology offers unique capabilities which create a significate increase in upstream efficiencies in licensed frequency channels, in many cases doubling data through-put. The FullMAX system is designed for a greater than 20‐year life span and is multi-standard compliant. With this platform Critical communications across industries now have the ability to future proof today’s networks with industrial grade hardware and flexible and expanding software to deliver future features and to enhance development. Cleary the need for more and more data from an expanding sensor universe demands that the core network deployed today be flexible, standards based, and highly scalable. Ondas squarely meets this challenge.